Missoula businessman and philanthropist Terry Payne and his family have donated the 300 block of East Main Street, and the old Missoula library that fills the space, to the city of Missoula. Mayor John Engen told City Council members Monday night that Payne came to visit him in late January and said he’d like to give the property to the city. “After I picked myself up off the floor, I got the staff busy working on the legal documents,” said Engen, who signed that necessary paperwork on Friday. “I want to acknowledge my gratitude to the Payne family for this remarkable gift to the city,” he said. Several years ago, Payne entered into an agreement with the Missoula Public Library to exchange the 400 block of East Main, where a new $36 million library is under construction, for the 300 block, where the existing library sits. That way, the library could remain open throughout construction, leasing the property from Payne, then could move a block to the west when its new building was finished in 2020. Under the agreement signed Friday with the city, the library will continue leasing the site as planned. Most city leaders assumed the 300 block would eventually be developed by Payne for housing or retail or some combination of the two, as is the opposite side of the street where the ROAM student apartment high-rise recently opened. Then came his surprise visit to the mayor. City Council president said the gift is particularly timely since the city and the Missoula Downtown Partnership are in the midst of updating the Downtown Master Plan and can now look at that block of land with different eyes. “The timing couldn’t be better,” he said. Earlier Monday, Engen released a written statement saying Payne had placed no limits on the property’s use under city ownership. Payne, too, released a statement expressing his support for city ownership. The city paid nothing for the property or structure. There was but one naysayer on Monday, and that came in the form of questions presented to the City Council during its weekly meeting by community activist Ross Best. 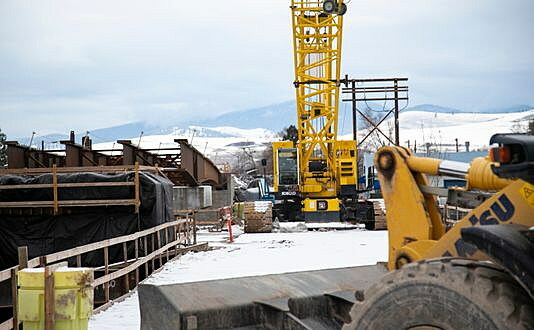 “I would urge the city, MRA, Missoula Public Library and the Missoula Public Library Foundation to be open about what they knew and when they knew it,” Best said, wondering out loud if somehow Payne’s gift could have changed the $30 million bond issue request approved by Missoula voters for the new library’s construction. Engen, however, said the gift wasn’t broached until late January of this year, and would have had no bearing whatsoever on the bond issue request. The library is a separate entity, and is not part of city government. So the gift to the city is not a gift to the library. And while the eventual use of the 300 block will be “a product of community conversation, planning documents and community need will guide the discussion about the eventual use of the property,” according to the mayor.